While we are eagerly waiting to see what Microsoft does with the Lumia line-up after acquiring it from Nokia, we might have just got the first glimpses of the handset. 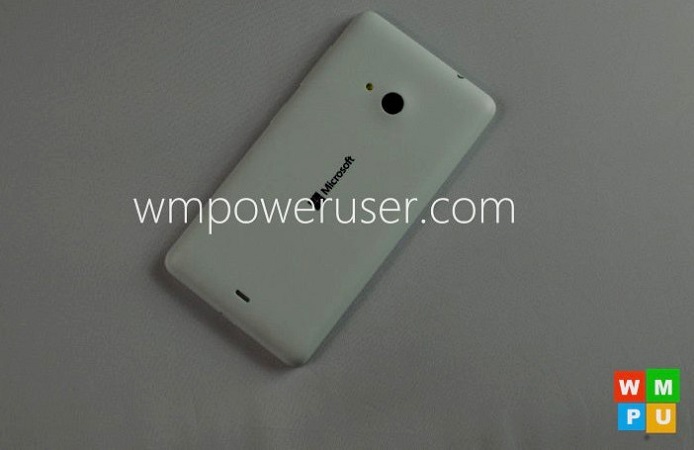 According to sources, the Microsoft Lumia 535, which is the company’s first Lumia branded smartphone. The device has a 5 inch display with resolution of 960 x 540 pixels. The smartphone is powered by a 1.2 GHz quad core processor with 1 GB of RAM and 8 GB of internal storage. The Microsoft Lumia 535 has a decent 5 MP rear facing auto focus camera with LED flash. There is also a front facing VGA camera. The device runs on the latest Windows Phone 8.1 version with a 1900 mAh battery. The handset is expected to be announced on November 11.